Express your Holiday Wishes with family and friends with this sweet Greyhound Christmas card. 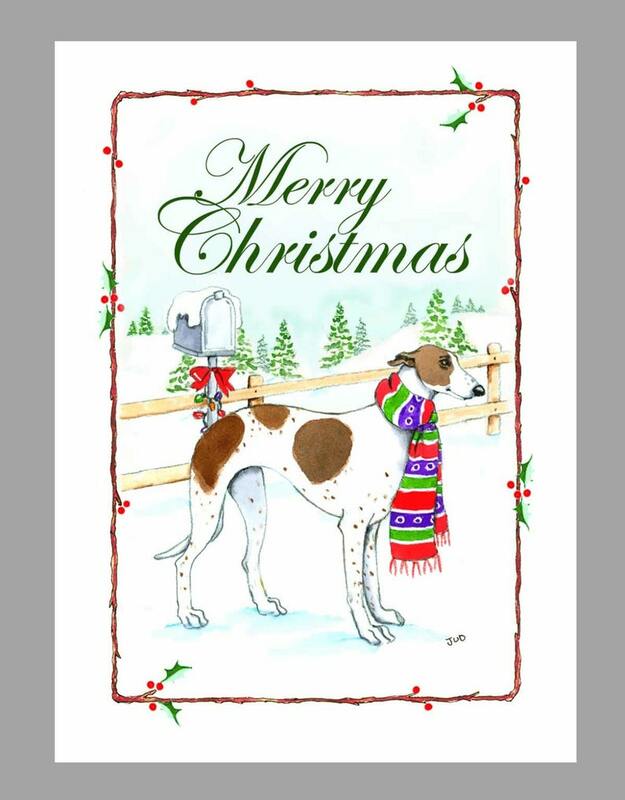 Having a greyhound rescue, I had to have the perfect card & verse. By far this was the best - the drawing was so sweet, just like the breed. The cards shipped exactly when they said they would. Keep up the good work ! Thank you ! Beautiful cards! Shipped promptly and arrived in perfect condition. Thank you.